I don’t normally have breakfast, but when I do I make black coconut rice porridge with citrus fruits. It’s my favourite! Seaweed noodles! I tried them just the other week in Sweden and instantly fell in love. As soon as I get my hands on them I have a feeling they will then be part of my staple diet. Low carbs and packed with all that seaweed goodness! I’m mostly self-taught, even though I have (amateur) master chef level parents. I only cook vegetables and vegan food that I have learnt mostly through experimentation. I like simple flavours with high quality ingredients, not too much fuss, just good produce. Koku Kitchen for a great ramen..
Not sure I can think of 5 in total, but here’s a few that stand out for me; I spent some time in LA recently this winter and found Sage to be a great ace for creative vegan dishes. When in London I like to go to Franco Manca for their amazing sourdough pizzas. And when in Berlin I head over to Monsieur Vuong for that Vietnamese treat (below). I always love to eat what Manfredi (DJ Tennis) cooks! He makes some delicious Italian dishes. We shared a house together for some time in Barcelona so I had the opportunity to try them regularly. I love bread, but I am gluten intolerant, so I really shouldn’t….but who doesn’t love some sourdough or croissants now and then!? 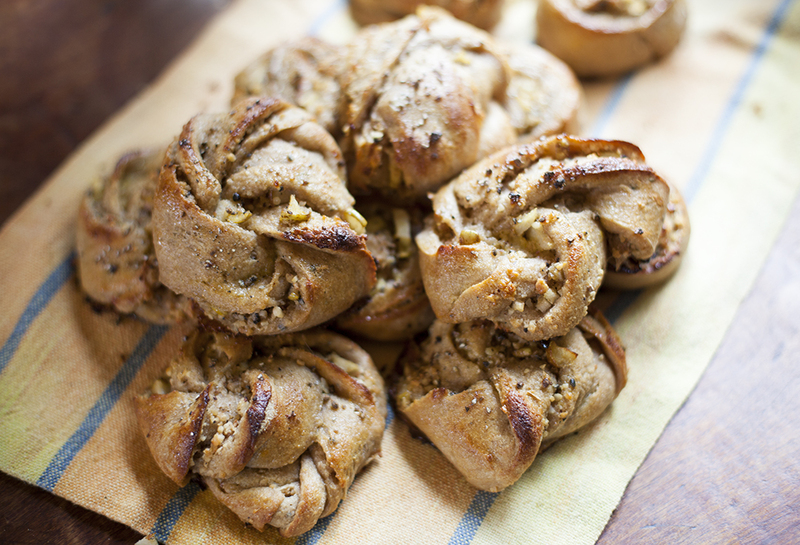 When my mum comes to visit me in Ibiza this summer, she has promised to bring Swedish sour dough cardamom buns, which just seems a bit too good to be true, and definitely worth the treat. Red beet hummus is my latest hang-up. It’s the perfect studio snack together with some carrots. As a dish it’ll definitely be something with broccoli, kale and quinoa in it. If I don’t eat vegetables for a day my body aches. Another favourite is Swedish vegan gluten-free banana chocolate mud cake! Fever Ray (Karin Dreijer), Robert Hood and Patti Smith. I would love to learn how to make a perfect seaweed salad. Often when you get it at a restaurant it’s too sugary. I do love provolone, tomato sauce and rocket. Your biggest ever food mistake? I make a lot of hummus and time management has never been one of my stronger traits, so it smells a lot like burnt chick peas around my house. A dish you just cannot eat? Licorice! Either you love it or you hate it. Also, red meat goes outside of my understanding nowadays. Well I don’t drink, so I never have those hunger pangs, but I would probably stick to something “boring” like fruit! I don’t have many snacks at home just to avoid these kinds of moments. I am really no restaurant connoisseur, and I have had a few nice meals out, but I have definitely not had to pay for those ones….so I hope they didn’t cost the buyer too much! I’ve love La Paloma for its ambience and Fish Shack for it’s simplicity. STK has delicious food too. I’ve stayed a lot out in Santa Gertrudis where I always stop at Wild Beet. Las Puertas del Cielo. The view up there is so peaceful. The restaurant up there is pretty good too! There are so many! An open air favourite from the likes of Zoo Project is Iz & Diz “Love Vibe” (Brett Johnson’s Better Days Mix). It always gets the mood vibing. A swim is a must to cleanse the soul! My go to beach for quick swims is Sa Caleta, and after that it’s a great idea to enjoy dinner at the restaurant by the beach. If it’s a short stay like 24 hrs, I wouldn’t have time for a sunset watch, but head straight out! There’s too much fun to be had. If I’m not playing somewhere you’ll find me dancing, and if it’s a Monday you’ll find me at DC10! You can find Adeline next in Ibiza at Zoo Project on Sundays where she is holding down another year’s residency.